The Children’s Hour, 2018. Directed by Neiry Rojo. The Ross Valley Players invite you to apply to direct one of our six Main Stage plays at the Barn during the 2018-2019 season. We would enjoy hearing your directorial concept for any of the above selections and getting an insight into your personal view of theater and directing, as well as your approach to working in a setting like the Barn. We are also interested in developing our production teams, so please let us know if there are designers or technicians who might enjoy the Barn experience as a part of your team. The interview is with a small panel of theater artists who are familiar with the Barn, most of whom participated in the play selection process. Your interview will last approximately 20 minutes. During that time we would be happy to answer your questions about us. Directors are paid a stipend of $750. Viola has been shipwrecked in a violent storm off the coast of Illyria; in the process she has lost her twin brother, Sebastian. She disguises herself as a boy and assumes the name Cesario for protection. Thus disguised, Viola becomes a page in the service of Orsino, the Duke. Fastidious, depressed, and none too tense, Felix seems suicidal, but as the action unfolds, Oscar becomes the one with murder on his mind when the clean freak and the slob ultimately decide to room together with hilarious results as The Odd Couple is born. 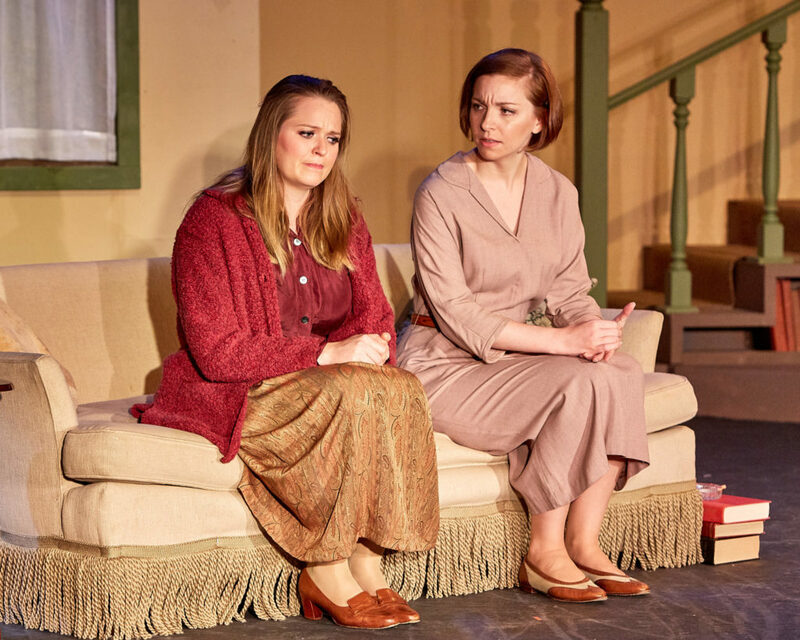 The play chronicles the strength and determination of women considered expendable in their day, exploring their true story and its continued resonance. Catherine and her friends are dying, it’s true; but theirs is a story of survival in its most transcendent sense. Moll Flanders is a bawdy story of a poor damsel who surrenders her virtue again and again (and again) to get to the top of society. If you’re rich, she’s available! The scene is Hazlehurst, Mississippi, where the three Magrath sisters have gathered to await news of the family patriarch, their grandfather, who is living out his last hours in the local hospital. Lenny, the oldest sister, is unmarried at thirty and facing diminishing marital prospects; Meg, the middle sister, who quickly outgrew Hazlehurst, is back after a failed singing career on the West Coast; while Babe, the youngest, is out on bail after having shot her husband in the stomach.